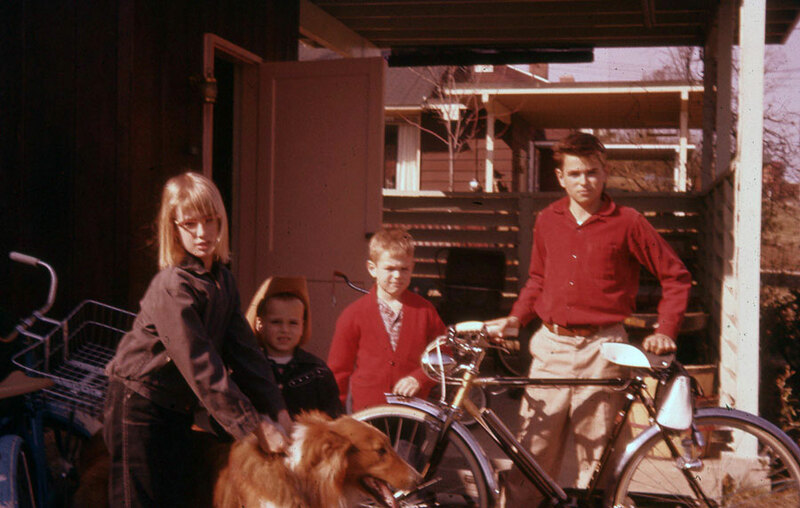 Even though I rode a bike at a young age, I knew I was a girl. Check out the footwear. Contrary to popular mythology, I didn’t learn everything I know from my cat. I was schooled by the lyrics of Broadway musicals. In our house when I was growing up, these classic gems of melody and harmony and wit were played regularly on the tiny turntable in the living room which served as our entire “sound system,” the same system that played “You Ain’t Nothin’ But A Hounddog” and “Bye Bye Love.” And along with learning all of Elvis’s moves and the Everly Brothers’ songs, I learned the words to all the songs in My Fair Lady, Oklahoma, and, perhaps most beloved, South Pacific. Last week when I read in the news about the eight-year-old Virginia girl who was asked to leave the Christian school in which she was a student because she failed to “dress and act like a girl” I was appalled. Of course private schools make their own rules. And that’s their right. But as a former tomboy myself, I was shocked and dismayed to see yet another example of how little we’ve changed as a species. 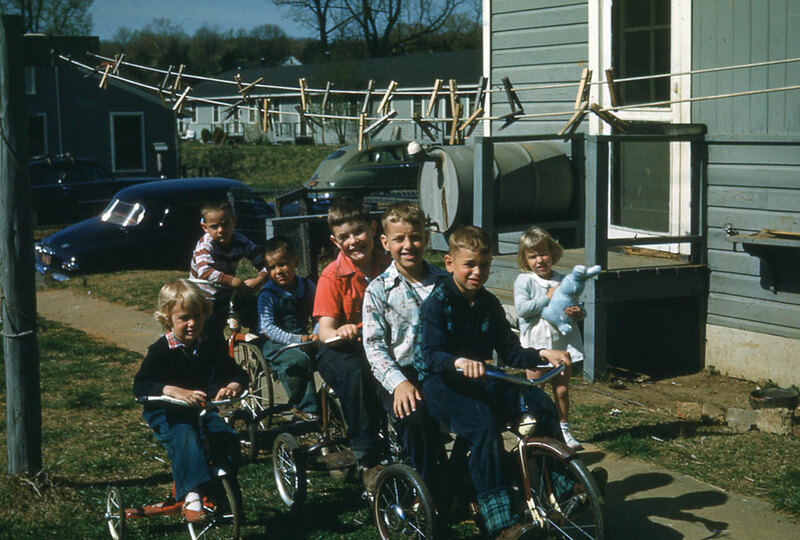 I grew up as the only girl in a family of five kids in the ’50s in Northern Virginia. I wore my brother’s hand-me-downs for much of the time, except to school of course, where girls were expected to wear skirts or dresses. Thing were different then. But outside of school and church, I wore pants. Try riding a bike in skirts, fellas. Talk about drafting. Close to Washington, D.C., the area tended to be less conservative than much of Virginia, but even so, traditional views were still in force. Title IX, which opened the doors for girls to play sports with something approaching equal support in 1972, didn’t exist back then. The idea of gender equality wasn’t taken seriously. Men were in charge. Women took dictation. All of that has changed for much of the world, thankfully. But clearly not everyone is happy with the changes. People who yearn for a time when things seemed simpler may try to put the Jeannie back in the crinoline, but I don’t think women will stand for it anymore. I recently watched “Wadjda,” the first film directed by a Saudi Arabian woman shot entirely in Saudi Arabia. This amazing film, which centers on the struggles of a 10-year-old girl who wants to own a bicycle, has garnered considerable critical acclaim. The young girl who plays the lead shines with pluck and resourcefulness. But what makes the film so important, from a gender standpoint, is how it reveals the incredibly restrictive social conditions for women in Saudi Arabia. Wadjda wants a bicycle because she wants to race her friend, who is a boy. In the film gangs of boys ride bikes all over the place. But girls are discouraged from riding bikes because of the commonly held belief that bike riding will destroy their virginity, and thus make them unmarriageable. Yikes. I remember hearing similar tales when I was growing up. In the real “olden days” that’s why ladies were supposed to ride sidesaddle — not to protect their skirts but to protect their virginity. Anything to keep the women from passing the menfolks. I understand now that he was trying to protect me from a world full of dangers, many of them men. But at the time I only felt the unfairness. As a child I wanted to live in a just world, where everyone has the same freedoms, the same opportunities, the same benefits. I’m still waiting. But signs of progress are everywhere. That eight-year-old tomboy who got kicked out of her Christian school? Her grandparents stood by her and she moved to another school. And Wadjda? I don’t want to spoil the movie for anyone, but trust me, fortune favors the brave. Wheels of destiny, turning still.